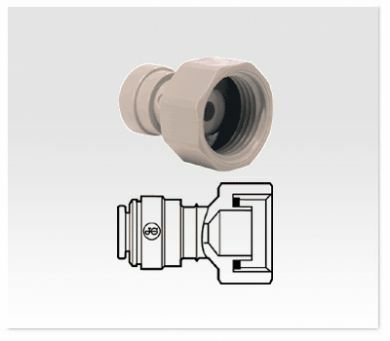 This connector is used to connect your RO system to a garden tap, hose pipe fittings or to a washing machine isolation tap. This fitting is a perfect companion for the Washing Machine Y-Piece if you wish to plumb it in parellel. Don't forget an inline ball valve to turn the water supply on and off. 3/4 inch bsp female thread to 1/4 inch quick connect RO socket.